September is almost here, which means so are deer and elk seasons in Montana. Before heading out on your next hunting trip, there are a few things to consider. First, do you have your hunting license and permit, as well as tags for the game you are hunting? Once you have all your paperwork squared away, consider clothing and supplies. When choosing clothing for your hunting expedition, it is always better to wear a couple extra layers than too few. Begin with a base layer of moisture-wicking garments and add layers for insulation. Fleece and wool are two good options to maintain heat with these layers, and quiet fabric is a must. All outer layers should be camouflage patterned. Raingear, hats and gloves are also important to remember. We recommend bringing an extra pair of hats, gloves and socks to keep you dry and warm. 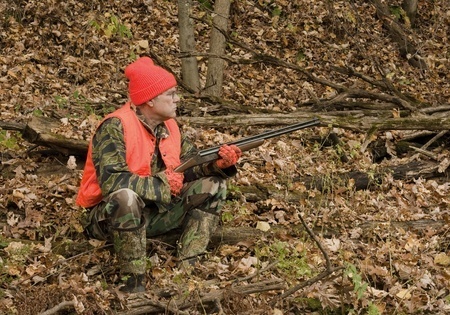 Here in Montana, at least 400 square inches of hunter orange must be worn above the waist on all big game hunters. For your safety and that of other hunters, include this fabric on your front and back, as well as your backpack. Before heading out on a hunting trip, remember to wash all of your clothing in scent-free detergent. Also watch for detergents that include UV brighteners, which can make clothing glow in animals’ eyes. A backpack is a staple for carrying supplies. Choose a lightweight option that is comfortable to wear and made of quiet, camouflage printed material. Your pack should have room to store water, food and extra clothing, along with any other supplies you may need. Sunglasses, a first aid kit, headlamp, and meat care supplies should all be considered. For a more detailed supply list, click here. Whether you are interested in elk, antelope or deer, Harris Hunts & Fort Musselshell Outfitters can provide you with a quality hunt in our remote hunting areas. To learn more about our hunting trips, visit us online or give us a call at 406-429-2800.